Live life on the edge . . . Fly high in the air! 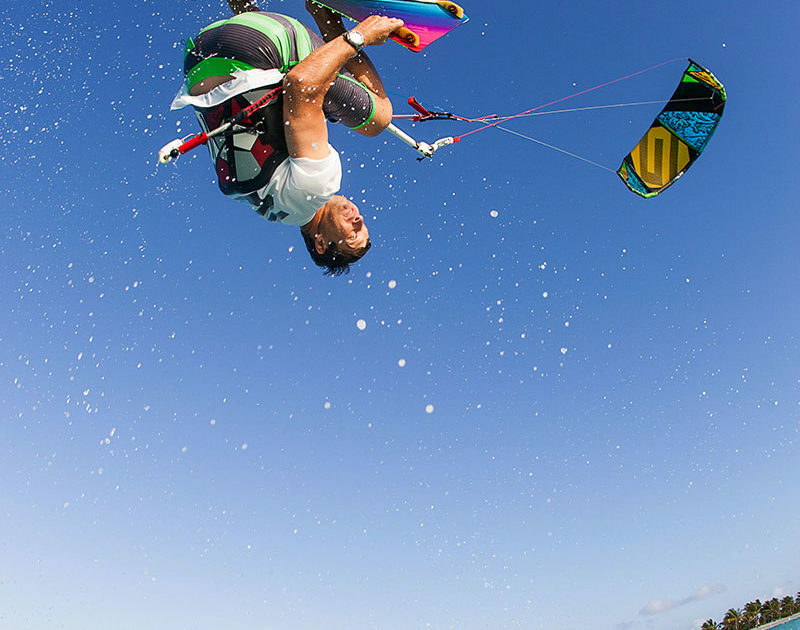 Extreme Kitesurfing has never been more fun! 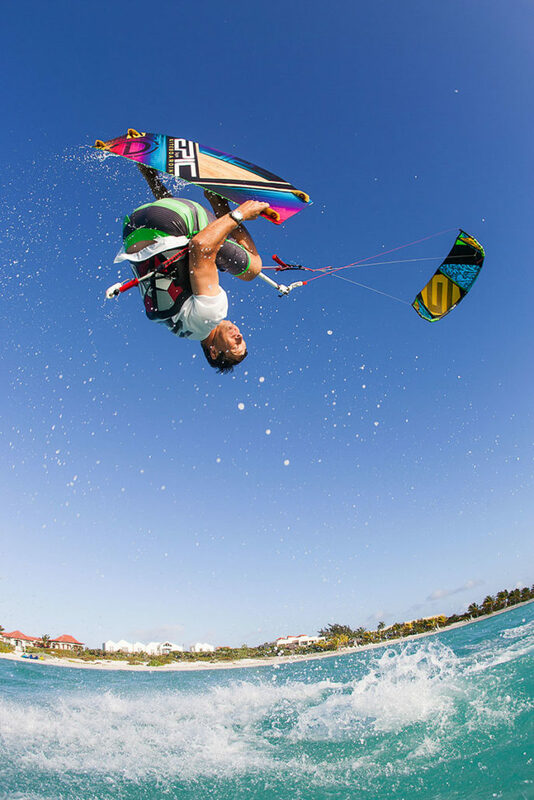 Experience an action sport that brings together the excitement of land, air and water thrills! We feature you the most extreme boarding sports and discover the world best spots. 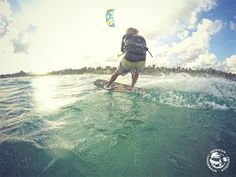 Here, we are dedicated to the enjoyment of kitesurfing and skateboarding at any level. 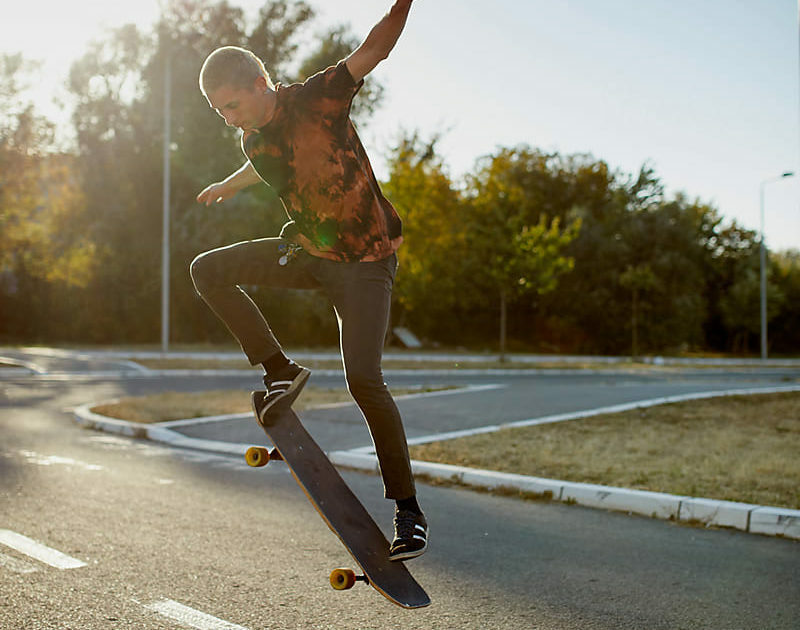 Skating is an exercise that can help you to stay fit while having a lot of fun. Skating helps keep your legs taut, and their springiness gives you vibrant energy, while lungs and hearts are pumping. It is at the same time an exercise that involves speed and balance, and if you lose balance can lead to accidents and injuries. 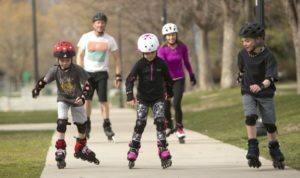 This makes it necessary to use and wear the right safety gear while you are skating, whether you are doing inline and roller skating or using a skateboard. A helmet is the most important part of skating safety gear and must be one that fits snugly on your head and is strapped and buckled properly so that it is not able to move. 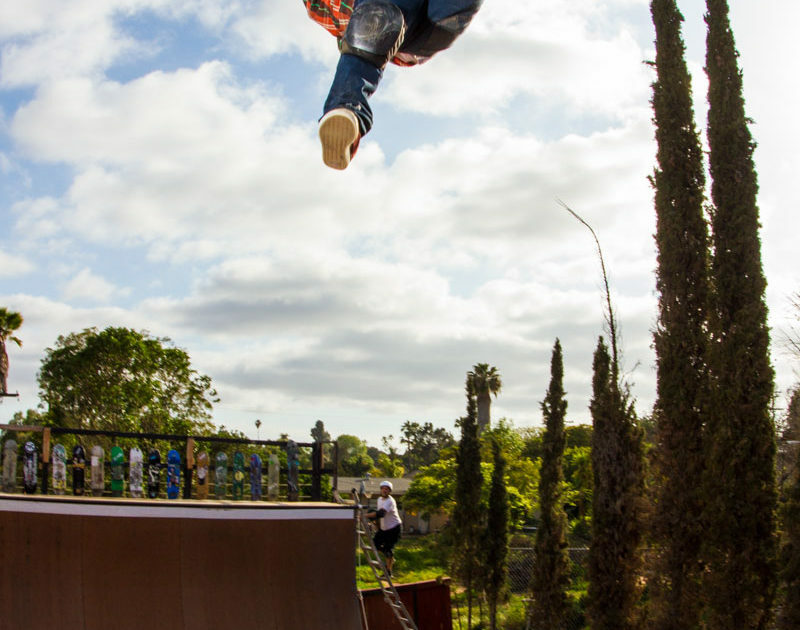 Some helmets are specifically designed for skating and come down lower on the head so that your skull has protection even when you fall backward. The brand of helmet you buy must be able to withstand many impacts without getting damaged. Never use a damaged helmet, and replace it immediately. Other safety gears that must be on the top of your skating safety gear shopping list are the knee, wrist and elbow guards. When you fall in an accident it is an automatic reflex for the hands to be put out to cushion the fall, and here is where wrists can take a lot of strain, that is protected by wrist guards. Your elbow and knee guards then go into action to prevent elbows and knees getting scraped and scratched. It is also important that you wear long-sleeved shirts and long pants as they can give you additional protection against cuts and abrasions after you fall. You can also do well to wear goggles or some protective eye gear, as when you are speeding, the high wind can cause your eyes to stream and water and impair your vision. 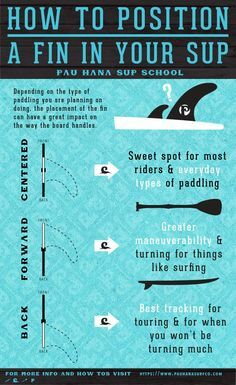 As part of proper safety during skating, make sure that your skates have wheels, toe stops and other smaller components are completely functional. 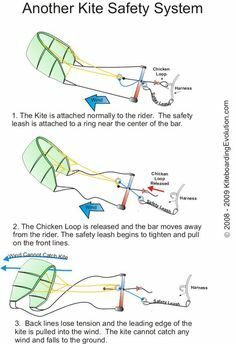 Brakes must be able to control your speed. Skates will have a number of bolts and screws and it can do no harm to see that before you start skating, that all of them are tight and have not worked loose. Skates must be the best quality, and most of these will come with the right tools and spanners that can help you to do this, along with a list of the important ones that must be checked regularly. The bindings of the skates must be such that they offer your ankle the right amount of support, besides remaining firmly fixed to your feet. 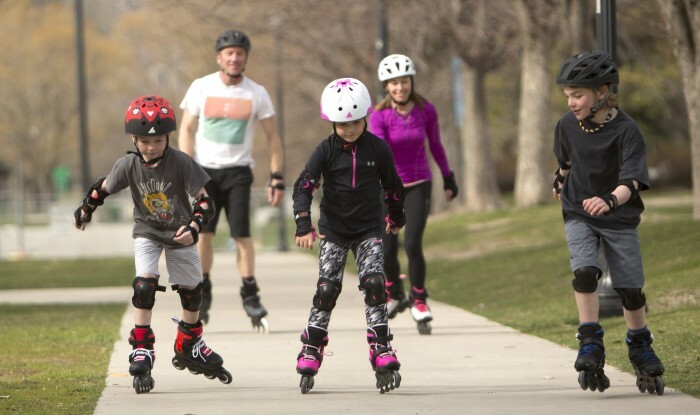 Inline skates must always be in the best condition if you want to exercise safely. Wheels can get worn out, while bearings can lose their efficiency. Replace them, taking care to see that you get the right spares that are meant for the brand of skates that you have. Brake pads, if worn out, must be replaced. Safety gear is not the only thing that will protect you when you are skating. You are better protected if you are in good physical condition to be able to withstand the rigors of skating. 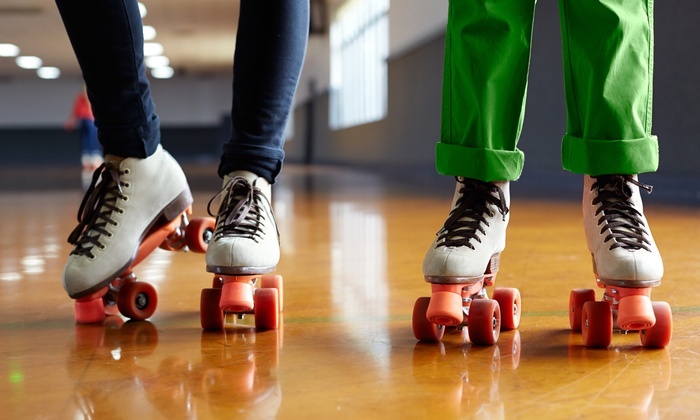 Skating causes a lot of strain on leg and thigh muscles and you would do well to follow an exercise routine of squats and lunges that can help you to develop hip muscles and your hamstrings. Leg curls give your thighs and legs the flexibility and endurance that skating demands. Do some stretching exercises before you go skating as it can help prevent muscle injuries. Know your limit and do not try any stunts unless you are thoroughly prepared and in top physical condition. 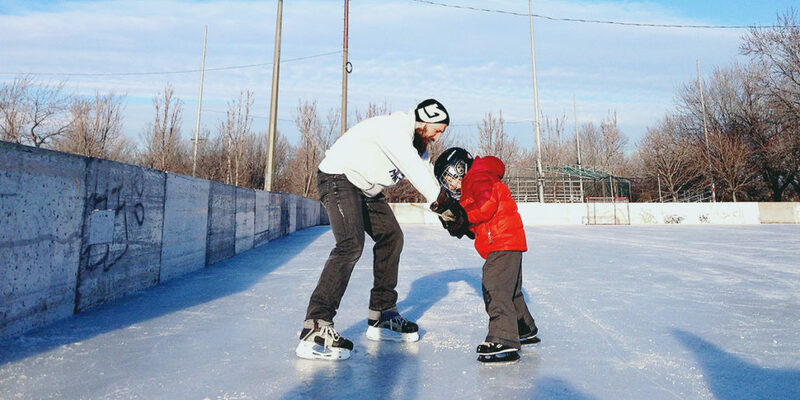 So Your Child Wants To Skate: What Should You Do Next? Skating is a wonderful sport, so there’s no wonder so many children and adults alike feel attracted by it. If your child wants to skate, you have reasons to be happy. This article shares a few tips to help you understand what you have to do in order to offer your child maximum of pleasure and fun. First of all, you have to assess your own skating skills. If you are very good at it, you may want to teach your child the basics of skating. Keep in mind that you should also have teaching skills and a lot of patience, as children may not be able to focus very well in such circumstances. If you aren’t a good skater yourself, you should consider enrolling your child in a skating class or paying a few private lessons with a good trainer. Like this, your child will learn the correct movements of this sport, thus being more prone to enjoying it. You can’t have fun at doing anything unless you reach a certain level of mastering that sport or skill. Skating lessons are the best gift you can possible make to your child who wants to skate. Choosing the right skates is another thing that can make a huge difference. If you intend to hire a trainer, you can discuss about buying the right skates for your child before the beginning of the first lesson. Experienced professionals are the most qualified individuals to give you advice in regard to buying the proper equipment. 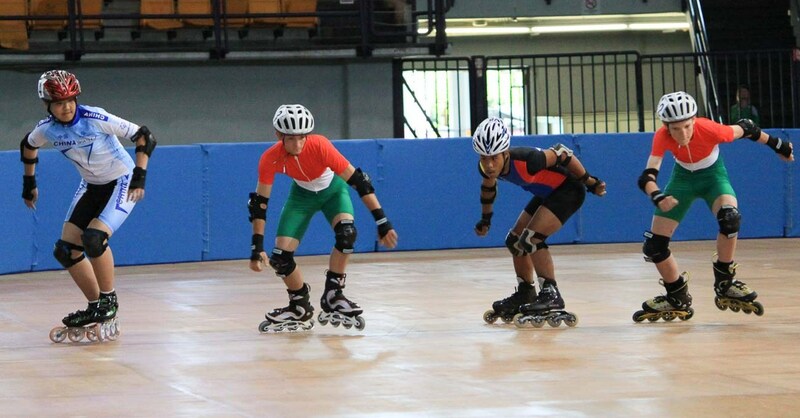 Apart from the skates, you should buy your child protection equipment and a good helmet. If the skating rink is outdoors, you should also ensure you choose the proper clothing items, so that your child isn’t cold. For best results, you should consider layered outfits, as skating can make your child hot. If you don’t want or you can’t afford to buy your child proper skating training, you should, at least, invest in a high-quality pair of skates and in a good helmet and some thick gloves. Teach your child to raise their hands in the event of tripping over and falling on the ice. The other skaters may come in full speed and section their fingers, so raising the hands is the very first thing to do is case of falling. 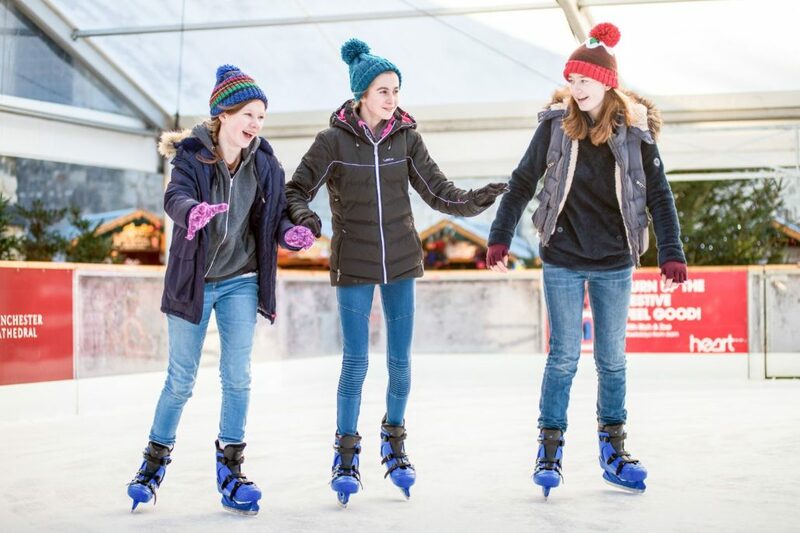 For safety reasons, it would be better to choose week days to go to the skating rink with your child, as there are less people on the ice than during weekends. 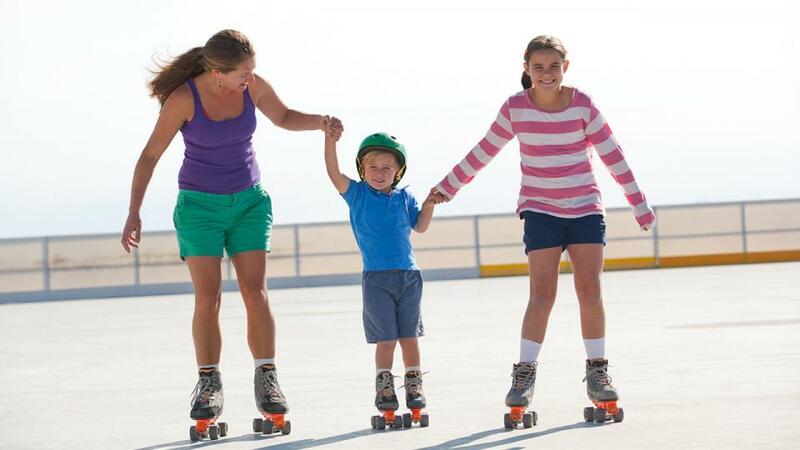 Even if you do know how to skate, you should allow your child to learn the basics without holding hands with you. Many skating rinks offer special props for children to hold on to while skating. The child can use one of these to start with, until he or she feels safe enough to let go and try to skate without helpers. The best place for a child to learn skating is a proper skating rink with everything needed to secure the safety of the guests. Never go on a frozen lake, as that’s perhaps the most dangerous situation for children and adults alike. Skating on thin ice may lead to falling inside the water. The thermal shock can kill a child in as little as minutes. Besides, getting out of the water is extremely difficult, as thin ice will keep on cracking and collapsing under the weight of the body fighting to get out. In conclusion, if your child wants to skate, you should encourage this initiative and support with with proper actions such as hiring a teacher, buying the right equipment, and choosing only safe places to go skating. http://www.extremeairstore.com/wp-content/uploads/2018/12/Aleksei-Potov-Adobe-Stock-e1479801106156.jpeg 911 1620 admin http://www.extremeairstore.com/wp-content/uploads/2018/12/c-300x73.png admin2018-12-10 08:23:202018-12-10 09:09:20So Your Child Wants To Skate: What Should You Do Next? Finding the right outfit for each and every occasion is a challenge. However, with a little planning and a lot of patience, you can turn it into a rewarding activity. This article shares tips and advice on choosing what to wear when you go ice skating. It is more about comfort and convenience, and less about being fashionable on the skating rink. Few of you may know that this sport can make you really hot, so wearing thick clothing is one of the worst ideas ever. 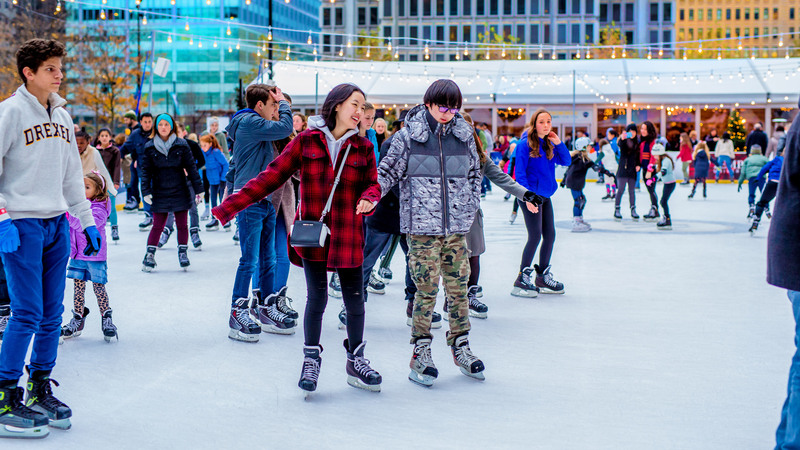 Even if the ice rink is outdoors, you’ll still want to wear layers of clothing, so that you can undress some, should you feel too hot at a certain point. This is perhaps the most important ice skating outfit tip anyone could ever give you. If you don’t know how to layer your clothes, consider wearing a T-shirt, a soft sweater, and a big and fluffy scarf. Should you be too hot, you can always loosen the scarf. You may also carry another T-shirt in your bag, in order to change if you sweat too much. In terms of footwear, you may think you’re going to wear your ice skates and you’d be right. However, a pair of comfy boots will make you feel great after your skating session, when you’re going to be on solid ground again. Your feet will be tired, so fitting them in tight shoes or high heels is going to make you feel miserable. Always make sure you wear comfortable shoes or boots when you go ice skating in the winter. Although you can be fine without them, a pair of thick gloves will keep your hands warm, even on a very cod winter day. Besides, gloves may play an important role in protecting your fingers from getting hurt, should you slide or trip over and fall at some point during your skating session. This is something to consider, as ice skates can cause severe injuries to your fingers. Anyway, you should always remember to raise your hands as soon as you land on the ice surface. Once the other skaters notice you, they are going to slow down or even stop to help you, so you won’t be in such a danger any longer. The first moments, though, are critic, as an ice skater coming in full speed behind you may not have enough time to avoid the collision. When it comes to protective equipment, most people ignore it completely. They think that a wool hat and some winter pants will keep them protected. However, many of them end up in the ER, with their skull broken or with leg injuries, as a result of ice skating incidents. For your own good, it’s best to wear a helmet and other protection gear such as gel pads for the knees and for the wrists. If you’re serious about staying safe, you should consider wearing protective gear for your elbows, chest and back. There are some special clothing items designed to protect your buttocks and your hips. Buy whatever you consider you need, but don’t overlook keeping your body parts safe. Ice skating can be dangerous, even if you are a good skater. Accidents happen all the time, so it’s better to be safe than sorry. If you wanted to know what to wear when going ice skating, now you can have a good idea about the types of clothing that would suit best this exciting winter sport. Choose the colors you like the most, mix and match them as you wish, but always keep in mind that safety and comfort should come first. 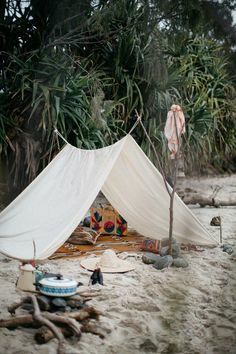 Day dreaming about amping on the beach. 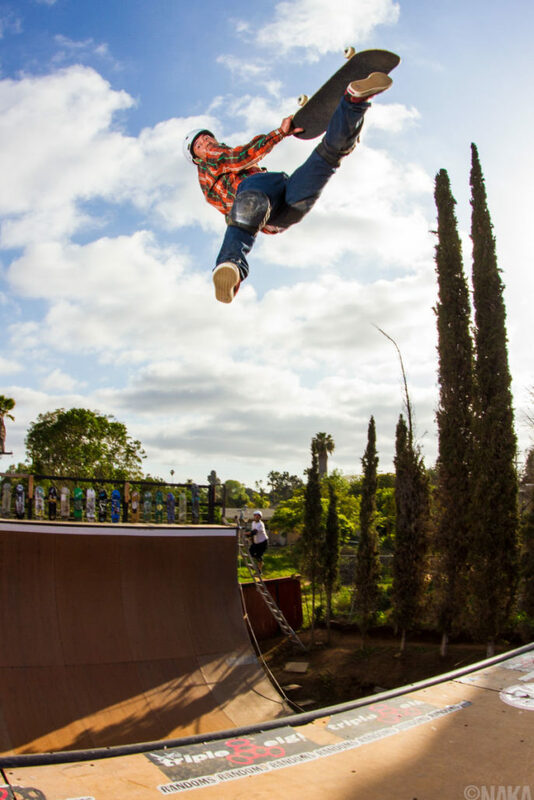 The Extreme Air Store strives to offer you the biggest and best surf and skateboarding news in the world. 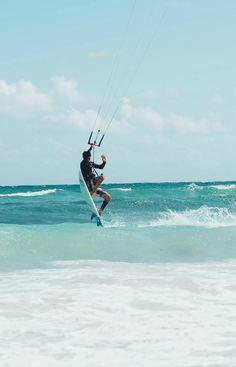 We are more than happy to share our knowledge of land, air and water sports, and all the latest trends and updates with you. 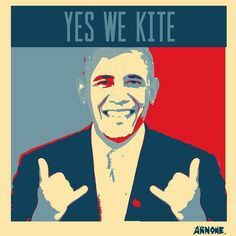 We’re dedicated to kite and skateboarding, its community, and the events and happenings that course through its core culture.